Alexis joined industry veteran Joanna Cutler of Joanna Cutler Real Estate to focus on residential and commercial brokerage in New York City and the Hamptons. Previously, Alexis was a Director at Thor Equities, an international real estate development and investment firm based in New York City. During her seven years at Thor, Alexis worked on a multitude of commercial and residential real estate investments in New York, Miami, Chicago, and Los Angeles. Alexis received an A.B. in Economics from Harvard in 2005. At Harvard she was a four-year member of the Varsity Tennis team and three-time Ivy League champion. Alexis was born in Brooklyn. She is part Italian, Greek, and Lebanese and speaks Arabic fluently. She was raised in the New York area and spent her childhood summers in Montauk. She currently resides on Central Park South in Manhattan with her husband and four year-old son and has a summer home in Quogue, NY. 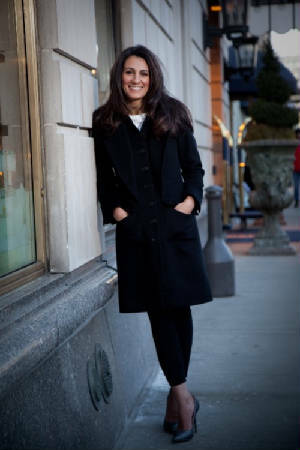 Alexis has a wealth of knowledge about the New York City and Hamptons markets and extensive experience sourcing, negotiating, and structuring real estate transactions. She is passionate about real estate and is a loyal and fierce advocate of her clients’ best interests. Her discipline, energy, and attention to detail are a significant asset to any client. She has an exceptional service ethic. Alexis' enthusiasm, persistence, and sheer determination enable her to get the attention of the most qualified purchasers in the market.